Looking at the headlines on China’s coal use during the past few months, it would be hard not to get confused: China’s coal consumption is underreported! CO2 emissions from coal have been overestimated! China is building one new power plant per week! China’s coal use is falling! No it’s not actually! The year kicked off with news that China’s coal consumption, which had been responsible for more than half of global CO2 emission growth over the preceding decade, had finally turned into a decline. The number was based on China’s official statistical communique on economic and social development in 2014, but the fall in coal consumption was supported by a wide variety of sources — from production and financial data from coal producers to customs data on coal imports and electricity data showing thermal power generation falling. There’s even more data to suggest the 2014 fall but let’s move on. As reported by Reuters, China put out another official statistical release in May which confirmed the drop in coal use as measured in physical tonnes but indicated that the average calorific value of coal used in China had increased by 3% — which would mean coal use was flat rather than falling. As CO2 emissions from coal are more closely related to energy content than physical mass, this would also imply that CO2 emissions would have been stable or only fallen very slightly. Furthermore, this would mean that global CO2 emissions would have increased by approximately 0.5% since global CO2 emissions excluding China increased 0.4%, and oil use increased in China. This was the only piece of news on the list that took us by surprise, because this is the first time that China is trying to account for year-on-year changes in coal quality in its statistical reporting — so far physical coal use has been converted into energy using a constant factor. This exercise is laden with uncertainty as reporting on coal quality is quite rudimentary in China and there were major changes in regulation on coal quality during 2014 which is bound to have affected classifications. The indicators listed above, such as power sector coal demand and industrial output, still point to a 1-2% fall in coal use as measured in energy units. 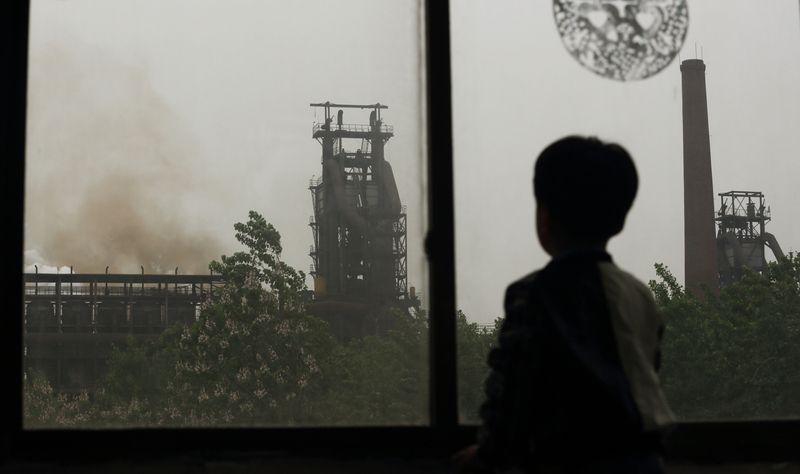 The headline came out of a very valuable research paper that published the results of by far the most comprehensive programme carried out to assess CO2 emission factors from Chinese coal and cement manufacturing. However the way the researchers chose to report their headline findings is quite misleading — they only pointed out one emission database that had significantly higher emissions than their estimates, while other key estimates had been roughly in line with their findings. In fact, the data the researchers produced confirmed estimates of CO2 emissions from Chinese coal instead of changing them dramatically. This was definitely the most confusing piece of news – and the most widely covered – among journalists and climate wonks. The New York Times wrote a pretty sensational story that left many readers with the impression that China had been finally caught red-handed manipulating its statistical data, and that this was a new revelation happening during the run-up to the Paris climate talks. In reality, the over-reporting had been known of for at least a decade, and the first revised coal numbers were published in February — which we had covered six months ago. Until the revision China’s official statistics were underreporting total coal consumption, with illegally operated coal mines previously not included in the statistics and local governments falsifying data to show they met energy intensity targets. The underreporting could be detected in a number of ways, but the most commonly used proxy was obtained by compiling and summing up the coal use reported by the provinces — that’s how a team of researchers estimated that the gap between CO2 emissions calculated based on China’s actual and reported use was as large as Japan’s total emissions. After the 2013 economic census, however, China decided to finally correct the statistics — and the entire time series from the year 2000 to 2013 was revised. The revision paints a more accurate picture of China’s coal use and emissions, but it also makes many of China’s emission-related targets much more ambitious — including the non-fossil energy target, the CO2 intensity target and the 2020 coal consumption target. The old statistics had coal consumption at 3.53 billion tonnes in 2012, so to reach 4.2 billion tonnes in 2020 would have allowed growth of almost 2% per year. However, the new statistics put coal consumption in 2013 at 4.24 billion tonnes – just above the 2020 target. This means China will actually have to reduce its coal consumption in the coming years. This is a worrying trend that we highlighted with an investigation released last week. Paradoxically, the build-up of coal power overcapacity in China is a result of two hugely important positive trends: as renewable energy surges ahead and economic transformation is leading to much slower growth in power demand, new coal-fired power plants are not needed anymore. Yet Chinese power companies have not scaled back spending on coal-fired power plants – and it may even accelerate since the approval authority has recently been given to provincial governments. Unless the state steps in to stop the coal bubble, the rush will mean waste of capital on a massive scale. However, the one thing that it won’t mean is increased coal-burning – there simply is no room on the market for more coal-fired generation, and even current capacity is lying idle half of the time. We released news last week that this year is likely to see the biggest fall in coal use ever, with historic reductions in the U.S. and China contributing in equal measure. Our take on changes in 2014 and 2015 coal consumption in China is not primarily based on official coal use statistics (which are not even available for this year before February). Still don’t believe the statistics? You can see the drop from pollution measurements in NASA satellites too. The poor quality of Chinese statistics does mean that the degree of uncertainty around essentially all statistical data available is higher than for most other large economies. As long as official statistics are prone to error and bias, it is of key importance to use all available sources, not only the headline official numbers.